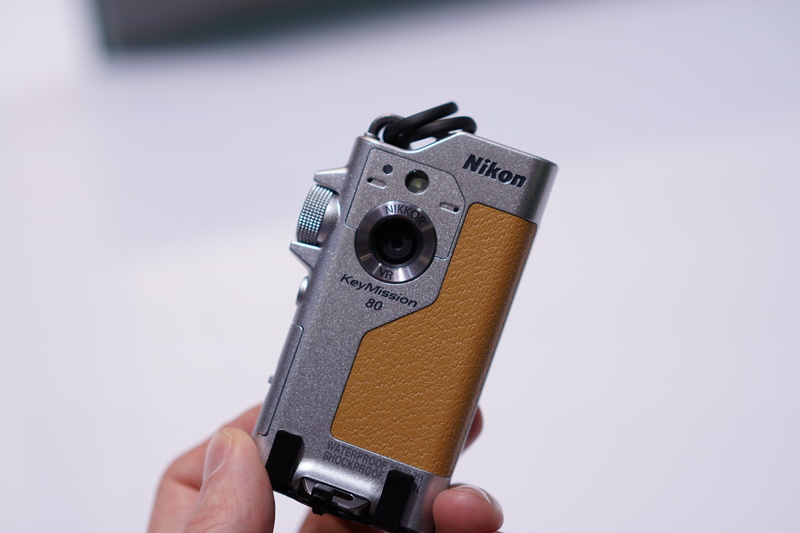 Nikon’s stand at Photokina is split fairly equally between displays of its DSLRs and demonstrations of its new KeyMission 360, 170 and 80 cameras. 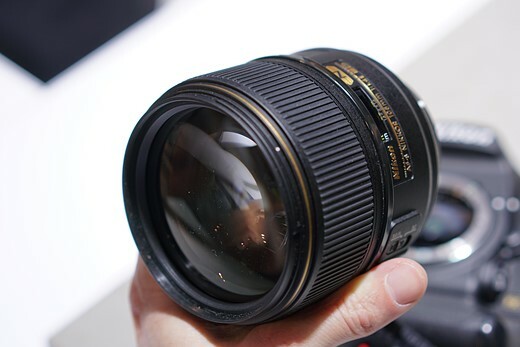 We took a look at everything they had to offer, starting with the Nikkor 105mm F1.4E ED. It’s as big as it is beautiful. At 106mm long and 95mm across, it’s quite a handful. That said, it didn’t feel disproportionate when mounted on a D5, despite its 985 g (2.17 lbs) weight. 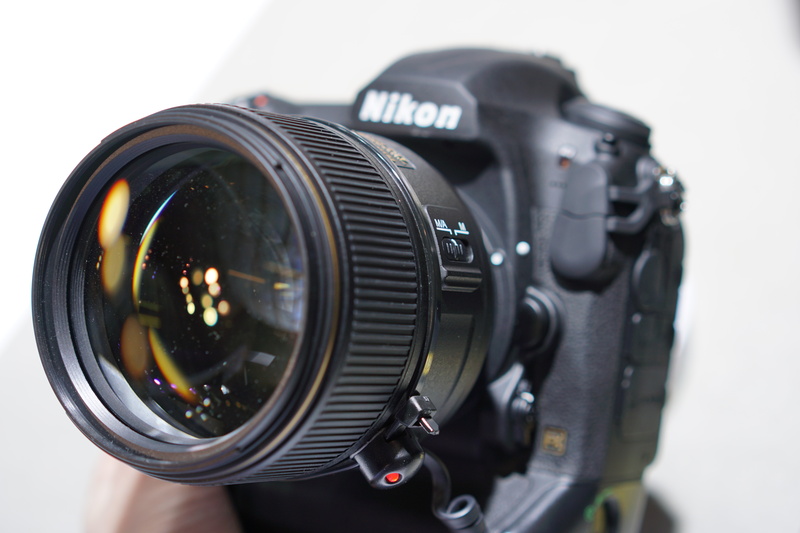 The ‘E’ in the lens’ name means it offers an electromagnetic diaphragm. 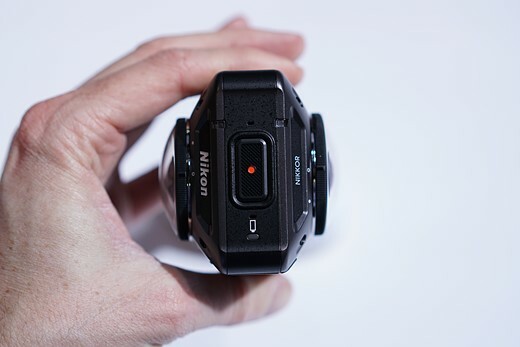 This not only operates faster than apertures operated by mechanical coupling, which is ideal when shooting at high frame rates, but also means many recent Nikon cameras can control the aperture even when they’re in live view mode, which is great news for video shooters. 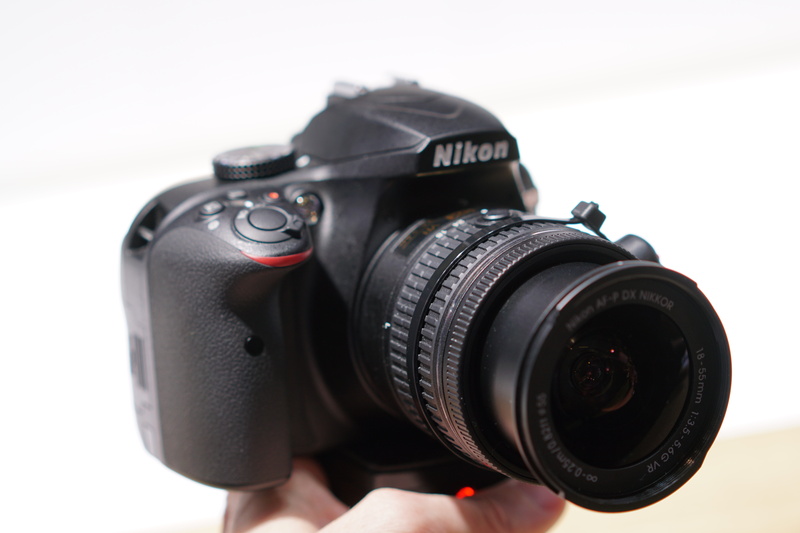 Also on show is Nikon’s D3400, the company’s latest entry-level DSLR. 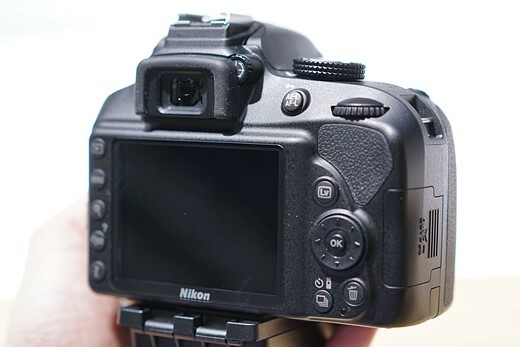 It looks a lot like the D3300 and shares many of its specifications, with it still being built around a 24MP APS-C sensor. Without AA filter, in this instance. The big news with the D3400 is the inclusion of Bluetooth Low Energy, which it uses to stay constantly connected to a smartphone. The iOS version of the SnapBridge app is now available, to which the camera can upload images automatically. The camera also includes a significantly boosted battery life (1200 shots per charge), but some of this will stem from the use of a less powerful built-in flash. 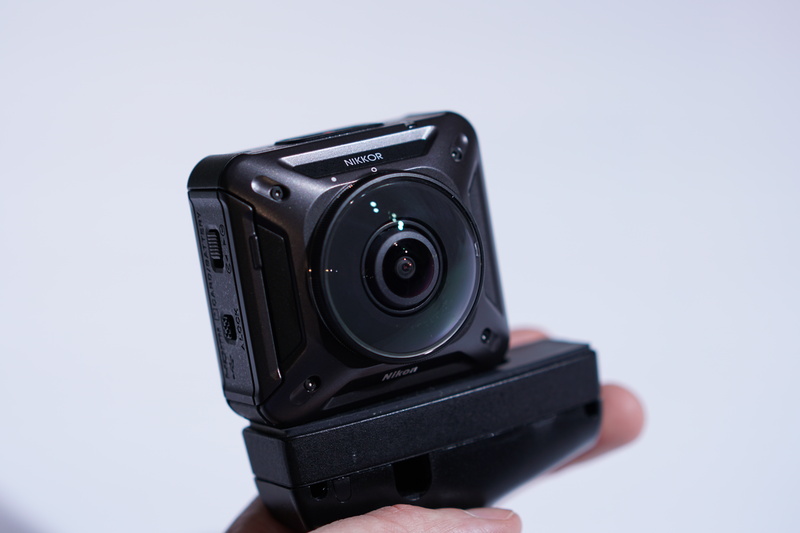 Originally announced back at CES in January, the KeyMission 360 is about to become available. Nikon says the two >180 degree lenses that combine to give 360 degree coverage are one of the aspects of the company’s expertise that it can bring to the sector. From the top, it’s apparent just how small the camera is. In part the lenses have to be mounted close to one another in order for them to provide an overlapping field of view. 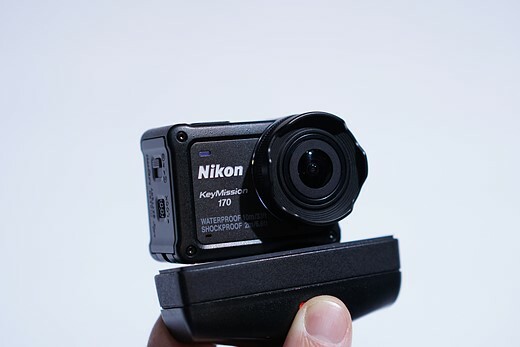 A slightly more conventional action cam, the KeyMission 170 offers a wide-angle lens that provides the field of view that the name implies. 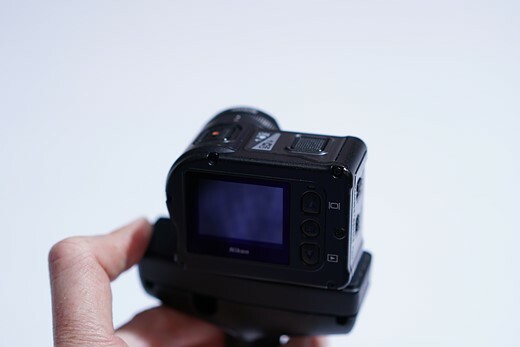 Rather than needing a special housing, the camera is itself already waterproof and shockproof, though an additional accessory is available to allow the 170 to be submerged to much greater depths. The KeyMission 170 includes a standard tripod thread but Nikon says it will offer an accessory to adapt this so the camera can be used with common mounts designed for GoPro cameras. 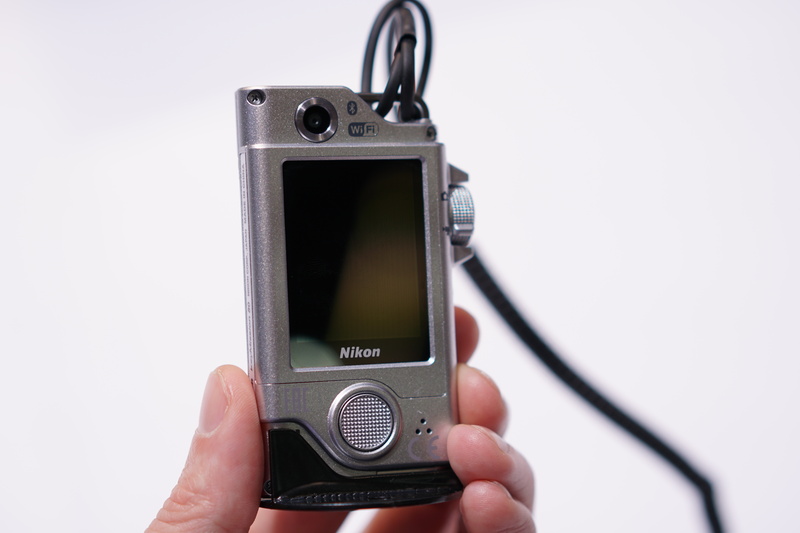 They KeyMission 80 is a wearable style camera with a (you guessed it) 80 degree field of view, and is designed to be used in a vertical orientation. On the front is a 12MP 1/2.3″ CMOS sensor that’s capable of 1080/30p video – no 4K here. On the back there’s a rear-facing 4.9MP selfie camera and a 1.75″ touchscreen. The whole camera is waterproof to about 1m/3.2ft, shockproof to 1.8m/6 ft and freezeproof to 14 F/-10 degrees C.
Despite looking high and low, we couldn’t find any sign of the much-anticipated DL compacts. Prototypes are not yet available, we were told. 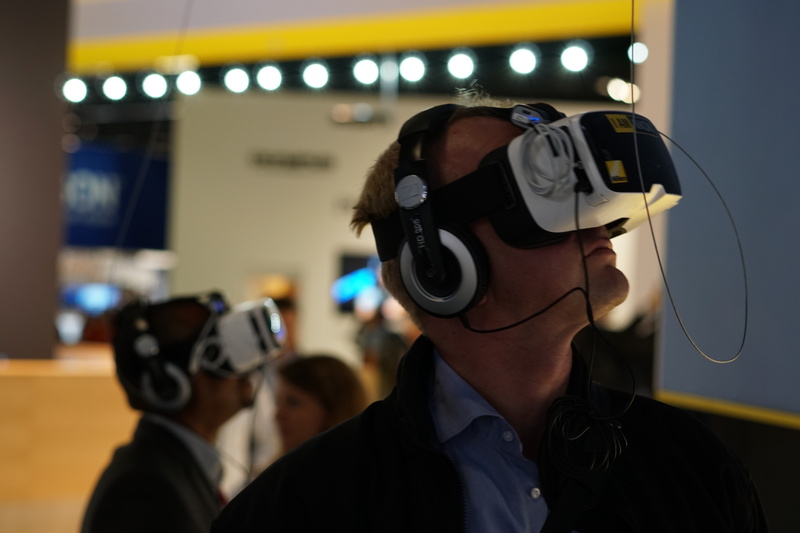 We’re still looking forward to them, though, and are hoping there’ll be more news at Photo Plus Expo next month.